iRealHousewives | The 411 On American + International Real Housewives: Shannon Beador Explains Why It Seems Like She Doesn’t Get Along With New Cast Members And Opens Up About Her Issues With Emily Simpson And Gina Kirschenheiter! 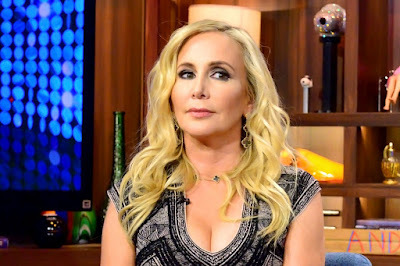 Shannon Beador Explains Why It Seems Like She Doesn’t Get Along With New Cast Members And Opens Up About Her Issues With Emily Simpson And Gina Kirschenheiter! Shannon Beador is setting the record straight about why she's accused of not giving new Real Housewives of Orange County cast members a chance. "I will admit — because I will own my part — that I don’t like change," she told AOL. "When two new girls come in and they’re almost half my age, it’s like, okay ... We don’t have that much in common, so you get to a point where you have to prioritize. I have a business, I have three kids on my own and I’m going through things that are taking up my time, so should I put those aside so I can spend time with a 32-year-old?" However, Shannon said that sometimes the new girls are the ones to start the conflict. She cited Kelly in Season 11 and Lydia McLaughlin in Season 12 as examples. "I think that if you look back, the new girls come after me," she said. "With Kelly Dodd it was like, 'Hi, how are you?' and then bam: 'No wonder your husband cheated on you,' 'Eat up!' I could go on, but we actually are friends now, so we’ll sometimes be out together and be like, ‘We should reenact this stuff!’"
Newcomers Emily Simpson and Gina Kirschenheiter have revealed that they have no relationship with Beador, which Shannon admitted that is "quite accurate." "There’s one girl that’s new -- that I’ll leave for you to guess [who I'm talking about] -- my God, I feel like everything [she does] is manipulated," Beador told AOL. "She’s tried to be on the show for multiple years." Beador was seemingly talking about Simpson, who she said we'll be hearing say "unconscionable and unethical" allegations about her in an upcoming episode. "I’d like to address what apparently I will be seeing [later in the season]," she said when asked what she'd like to talk about on this season's reunion. "The labels that Emily Simpson has made on me ... I just think she’s out of line. I didn’t threaten to kill someone at a party. If you’re going to start questioning my mental capacity, then I’ll throw it right back at ya, gal."